I love that I can filter out likes and comments, which bog down my activity feed, but when I checked "Include Incoming" in the filters, I assumed I would still see incoming likes and comments. I don't, and I would love to. I'm sorry but I can't find anywhere else to post this. On the 30th of last month, which is now a week ago. 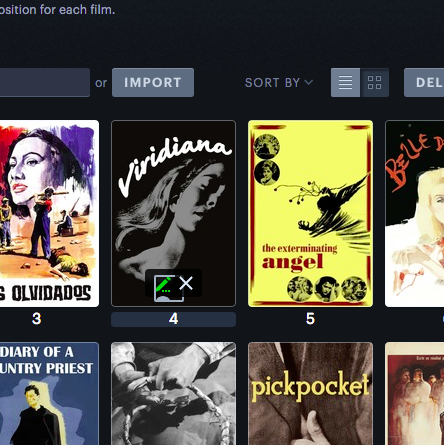 None of these have materialised on Letterboxd as yet. We’ll check out why these aren’t updating in a timely fashion. For lists like the top 250 and lists in general is pretty annoying that you can only see the owner's rating instead of your own. The sorting seems to be by "recently added" but I would like to click on any of the columns (# watched, # of lists created and # of likes) and sort it ascendant/descendant. This should work for any list of users. If these are suitable for transfer, could they be added please? hey so you are a guy on a film marathon of a list, wouldn't be good if you click a movie on that list and there is a button somewhere on the screen saying "next on the list", and if you click it it will redirect you to the next movie on the list. Hello, could you add these miniseries to the database? Also, is there any less bothersome way to suggest miniseries additions? On a given film page, might it be possible to include a box/column/area showing which users have marked the film as a favorite? It could be a quick way to find users with similar taste. Currently when I comment on a review I'm automaticall subscribed to that topic causing huge amounts of mail to hit my inbox. I have to unsubscribe if I don't want it.I'll never want to be subscribed to all topics I comment on but It's annoying to have to do that every time you comment. How about flipping the behaviour so that I have to actually click subscribe? I've submitted this problem before (and it's been fixed before) but once again I'm getting the problem where when I go to add a note to an item on a list I am creating the entire webpage will appear inside the 'add note' box. Also, after I (temporarily) take care of this problem, whenever I add a new item to the list, it gets added twice. 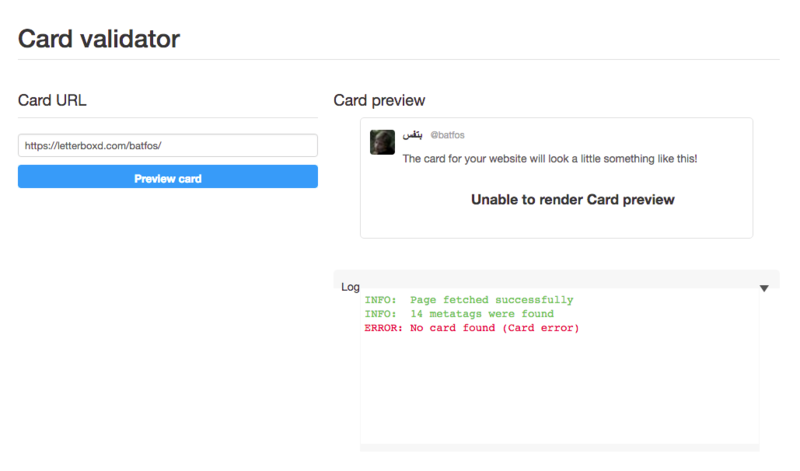 We’ve been unable to reproduce this issue in testing, which is frustrating. If you’re able to, could you please record a browsing session in which it happens using an app like Charles Proxy (charlesproxy.com) and send us the .chls file. Charles records all the traffic between your browser and our servers, so will help us isolate what’s going on. It’s written by Letterboxd co-founder Karl von Randow (see our team page under About).